Mediterraneans display food in a completely different way than us Northerners. 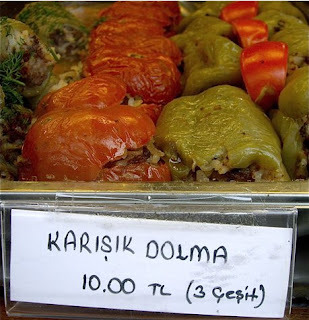 In Galata in Istanbul I ended up admiring foods in a window of a local deli. The only words I understood on the signs was dolma and köfte, but judging from appearance I would not have hesitated to have asked for a serving. I checked on the net to find what was on display and thanks to the Google translation program I found what each dish was. The Salaray Usulu Lahana Dolmas is a house style stuffed cabbage made with cabbage, tomato paste, onions, ground meat, herbs, rice and topped with mozzarella. 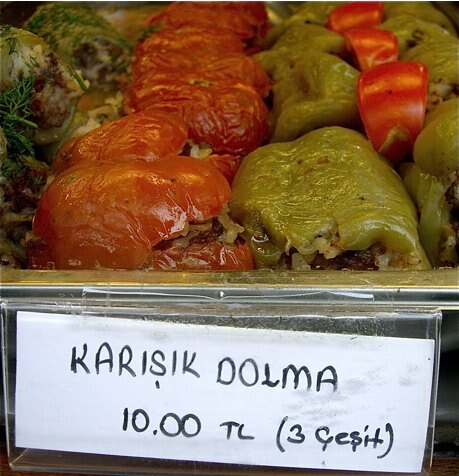 Dolma refers to the dish being stuffed. The second dish The Karisik Dolma is a traditional stuffed mixed vegetable dish made from vegetables as eggplants, zucchinis, bell peppers or tomatoes. 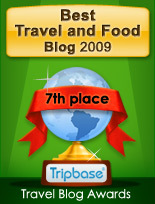 The stuffing is made from beef in a tomato stew seasoned with mint, pomegranate molasses and cumin. 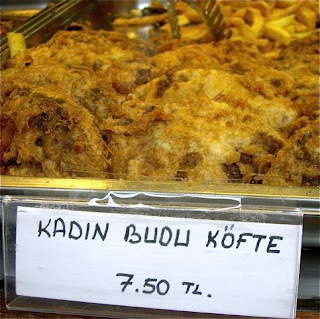 The third dish, the Kadin Budu Köfte is a Turkish meatball or a meat loaf. 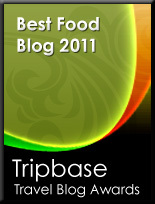 I found a site referring to it as "Women's Thighs meatballs." It is made from ground beef, onions, rice, bread crumbs, parsley salt and pepper. These meatballs seems to have a topping, maybe cheese or onions. I have underlined the references to the translated pages. 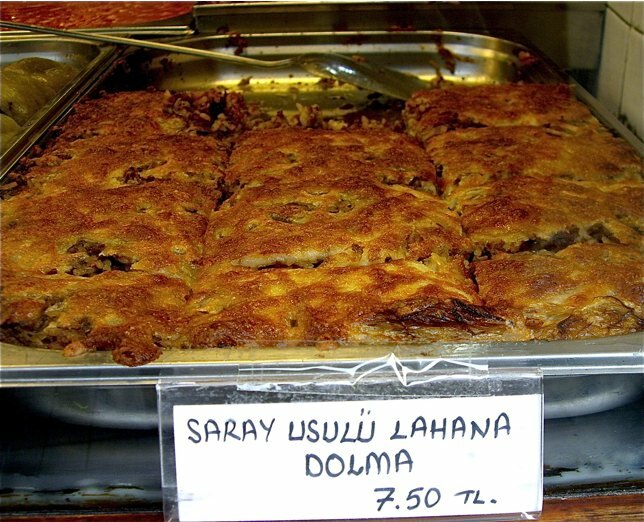 Even though the translation from Turkish to English is a little peculiar, it is easy enough to understand what ingredients to use and how to prepare the dishes. So why not try a Turkish tucker for the evening? Maybe I will! !